I create bespoke workshops for schools and can support staff with the introduction of new materials and techniques to enhance curriculum work. Activities include printmaking techniques (collagraph, woodcut, lino), mixed media box constructions and the practical application of developing sketchbooks. If you would like an information pack use this page to contact me (click). I also enjoy giving individual tuition to children and adults, as support for GSCE and A-level examinations. Students have access to materials and tools in a relaxed and informal working artist's studio. 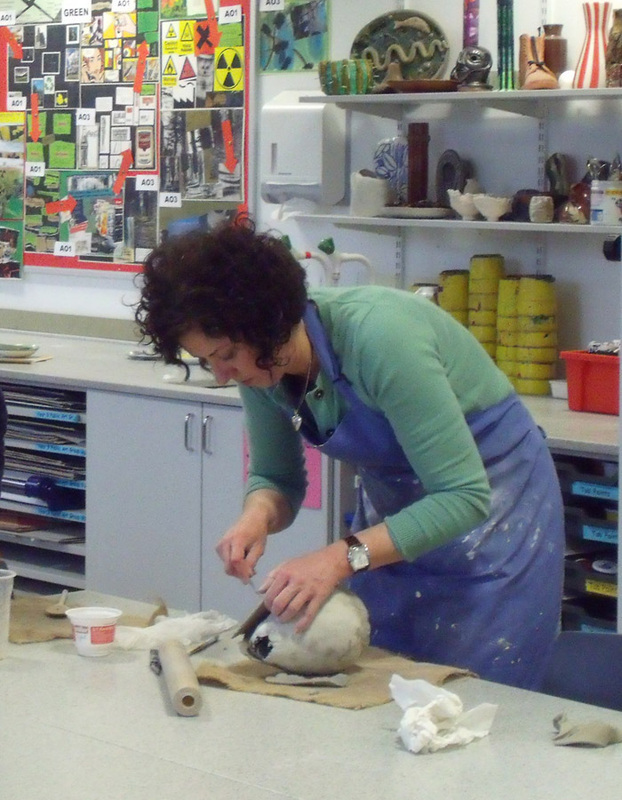 Workshops can also be developed for groups of adults wishing to learn a new technique or further develop their skills. I also run workshops for groups across a variety of media, including printmaking and paper sculpture. Workshops can be a full day or a half day, depending on media and techniques.